← Lessons in Engineering: Is Virtual Reality the Future of Education? Automation appears to be the next big thing for the human race. 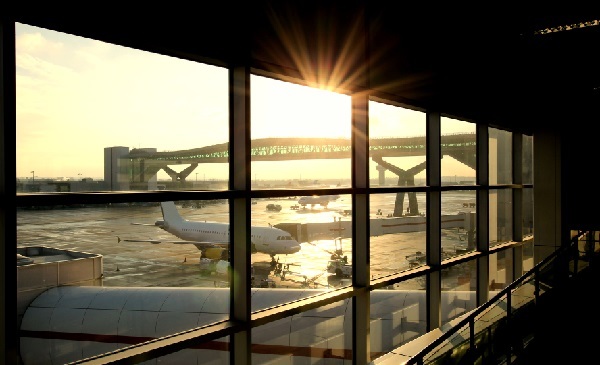 We&apos;re already seeing many aspects of our lives becoming smoother and easier through automated processes, and one area that progression can be seen the most is within our airports. According to a BBC News article, the airports of the future are being regarded as high-tech pleasure domes with the majority of the processes which are currently in place being replaced with automated alternatives to increase safety and make the whole airport experience smoother for everyone. Although we&apos;ve seen a drastic change with regards to the check-in process at many of the world&apos;s airports using online check-in and app-based boarding passes, it looks like the future holds an even smoother check-in process for us to experience. Most passports that are issued nowadays are of the biometric kind, and airports such as London Heathrow are already utilising some of the many benefits that these kinds of passport bring, such as biometric passport gates which scan the face of a passenger and compare it with the photograph which is provided on the passport itself. London Gatwick is also building the world&apos;s first completely automated baggage check-in which will allow travellers to check their bags in by dropping them onto a check-in conveyor belt up to 12 hours before their flight. Japan&apos;s All Nippon Airways is also going the extra mile and making the check-in process a lot smoother by providing their travellers with access to smart tablets which allow them to check-in at the touch of a button, while providing them with the means to easily navigate the airport with their map app, and up to date flight notifications. Another process which is already being trialled by a few airports is facial recognition. This technology aims to reduce queuing and check in times, and with further advancements in technology, a laser molecular scanner is expected to be introduced at some time in the future which will be able to scan an individual from up to 150 feet away. This incredible piece of technology and engineering is being developed to help identify those carrying suspicious items; it can detect gunpowder residue, pick up concealed organic matter in 50 picoseconds without an individual needing to be stood directly under the scanner, as well as further reduce the time the check-in process takes with manual searches. In a time when airport security is top of everyone&apos;s priorities, this advancement in technology and engineering could potentially see our airports – and probably our world as a whole – become a much safer place to be. Here at European Springs, we love learning about advances in engineering and technology that are about to reshape our future. As leading spring manufacturers, we&apos;re always on the lookout for ways in which we can enhance the world&apos;s future! If you would like to find out more information, please don&apos;t hesitate to get in touch with us today – we&apos;ll be delighted to help.